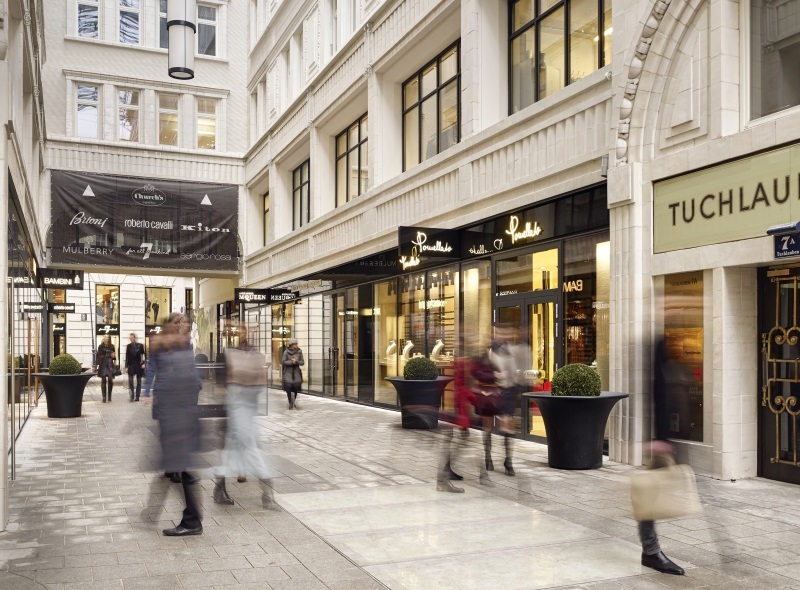 An architectural treasure packed with charm and history can be found in the centre of Vienna’s most exquisite shopping street, surrounded by historic squares, sophisticated restaurants and luxury shops: the ‘GOLDENES QUARTIER’ offers the highest standard of quality living. Quality of life is redefined here over 80 m² to 700 m² of space with luxury, high quality furnishings on offer. 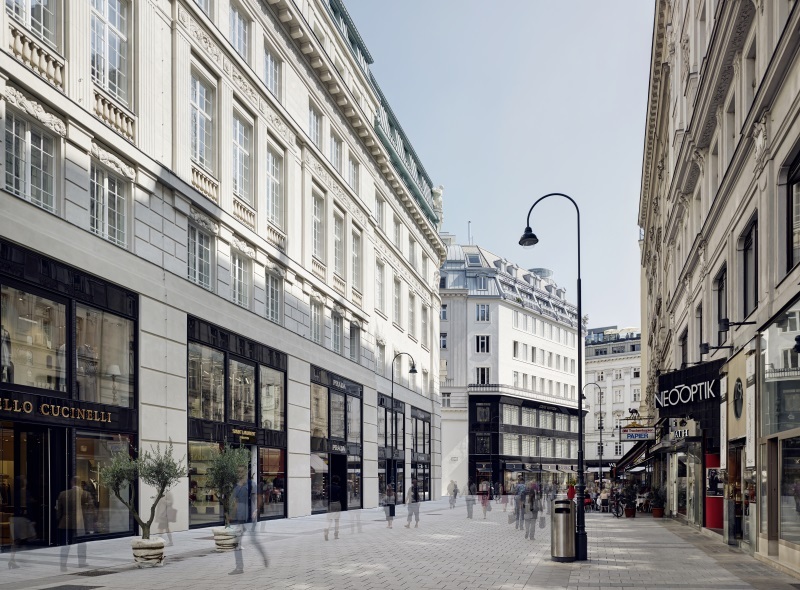 Surrounded by prominent neighbours and historical squares in one of the most sought-after squares in Vienna, the ‘GOLDENES QUARTIER’ also offers unrivalled office space. 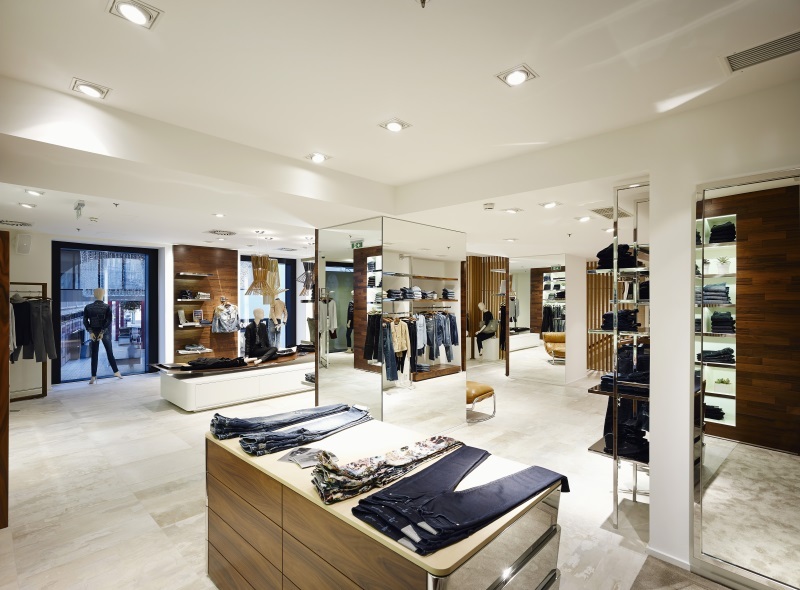 The exceptional infrastructure, paired with a sophisticated exterior and ultra-modern furnishings, inspires employees and impresses customers and business partners. Offices spaces of 250 m²+ are available for rental. 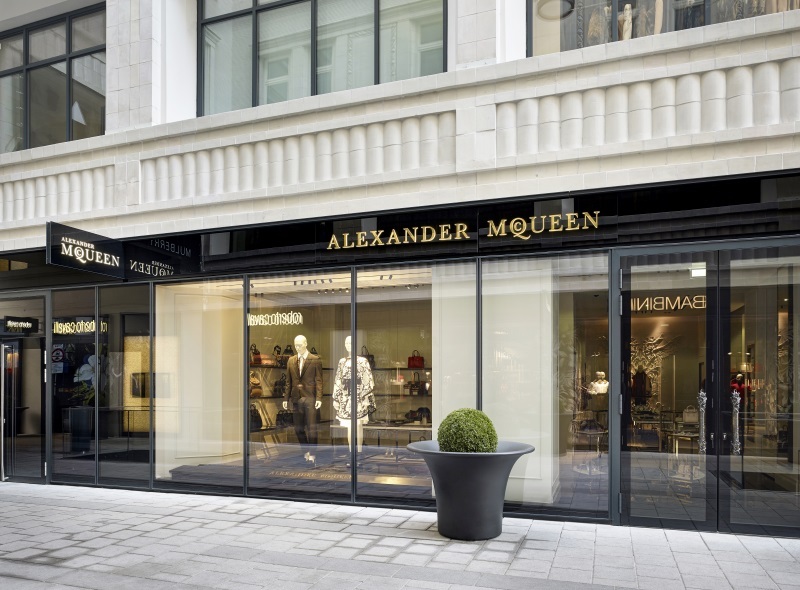 The ‘Goldenes Quartier’ brings together the crème de la crème of the fashion world. The famous streets Kohlmarkt, Graben and Kärntner Straße extend via the pedestrian zone to the Judenplatz and the Hof. 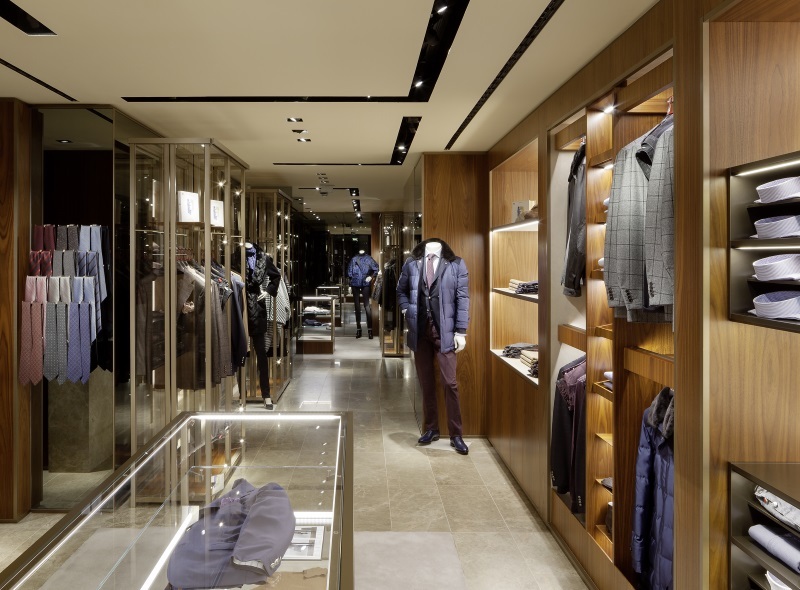 Here are the stores of Louis Vuitton and Miu Miu as well as Emporio Armani, Brioni, Roberto Cavalli, Etro, Valentino, Mulberry, Pomellato, 7 for all mankind, Brunello Cucinelli, Saint Laurent, Church‘s, Saint Laurent, Sergio Rossi, Kiton and Alexander McQueen. 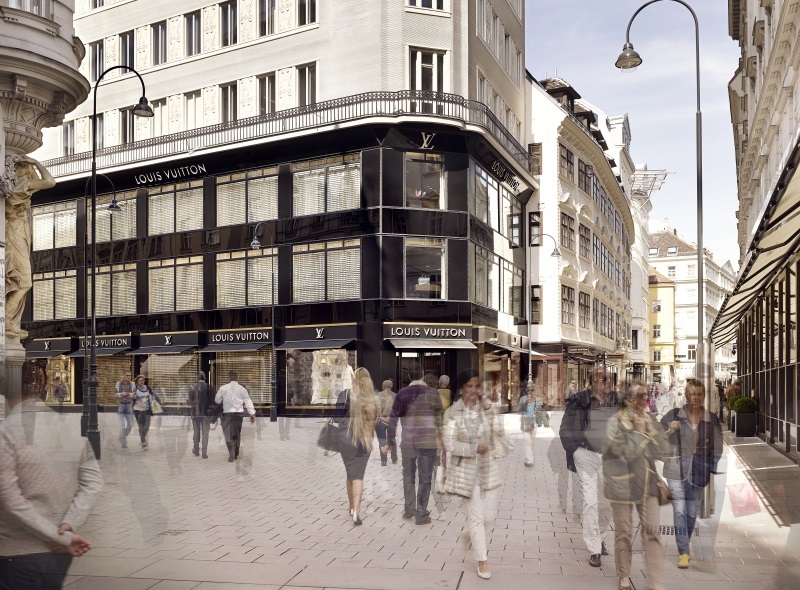 The Park Hyatt Vienna luxury hotel opened in spring 2014. Here visitors are able to while away the day in style at Austria’s gourmet restaurant The Bank.